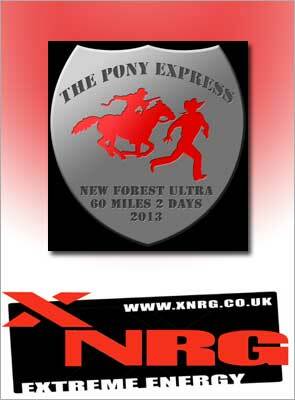 Next up in the Extreme Energy Hi Tec Ultra Trail series is the Pony Express Challenge: 60 miles over two days, on a course that winds through the ancient landscapes of the New Forest taking in woodlands, pastureland, round barrows, ‘boiling mounds’ of cracked flint, and the famous Rufus Stone. The course is scenic, with views across to the Isle of Wight on a clear day, and the May race date (4/5 May 2013) means that any horse-loving runners will have plenty of excuses to pause along the way to admire new-born New Forest foals as well as the ponies themselves – but don’t be fooled; this is a course to be reckoned with! 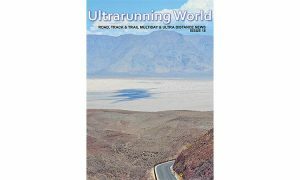 Carrying 2 qualifying points for the UTMB 2014, the 60-mile route is over mixed terrain, and the current record for completing it over two days stands at 8h04, set by Mark Ford in 2012. 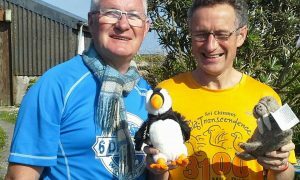 The route was beautiful, and great to run without hardly touching a road, a real pleasure. All the checkpoints on both days were a welcome sight, superbly manned and very generously stocked with just the perfect goodies!! I could go on and on because there seemed to be so many little touches which just made the two days such a fantastic experience! This year’s event features an additional highlight in the form of guest speaker Jennifer Bradley: a Pony Express veteran who went on to run 3300 miles coast-to-coast in the USA last year. She’ll be providing entertainment and inspiration for competitors on Saturday night, sharing tips and tales of her training and experiences. The Pony Express takes place on 4/5 May 2013, and registrations for the one- and two-day races are still open. One Response to "Pony Express Challenge 2013"
Great race, excellent organisation, stunning route!